Another lovely little split derived from a great friendship from across the oceans. 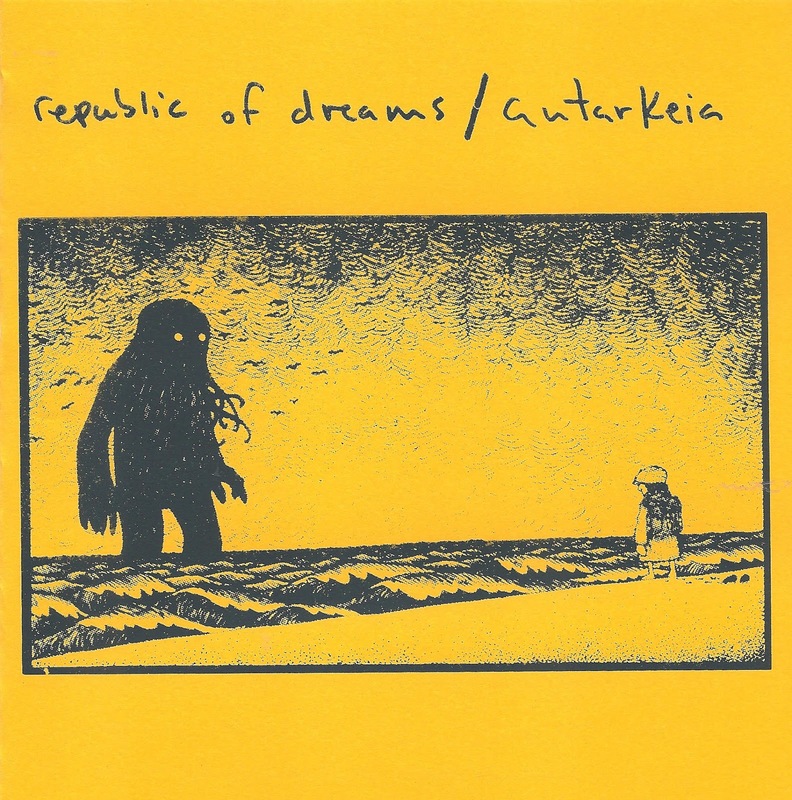 Autarkeia is from Ft. Myers FL and drops one epic track of pained, heavy emo - giant riffs and chaotic intensity complete with furious female vocals. Made of half Jiyuna and half Merkit personnel. 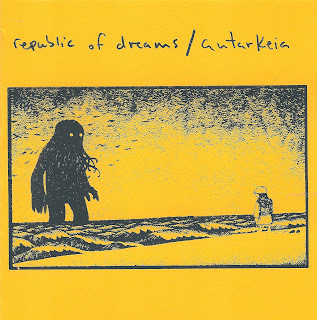 Republic of Dreams hails from Germany and Poland and play maniacal emo-violence of the first order - swirling chaos and pounding filth have never sounded so good. 4 tracks in about 4 minutes on their side and there is no time for breathing - pure mastery of the genre from the masters - ex Resurrectionists and Louise Cyphre. These are screenprinted, and it's a split release with Zegema Beach, Suspended Soul, IFB, React with Protest, and Moment of Collapse. They are $5 in an order or $7ppd alone.